What do we mean when we say “Genuine" Pizza? It's a holistic, thoughtful approach to everything from the careful selection of ingredients, to the dishes we create for our menu, and the spaces you’ll enjoy them in. We created Genuine Pizza to offer a place where you can be present, without pretenses, and enjoy a great meal with great people. That's really what it’s all about. Thoughtful consideration of the details, while approaching it all with simplicity, sincerity, comfort and delight. “Genuine” is as much about what it's NOT, as what it IS. No bells and whistles, just food in a welcoming environment. Our pies feature fresh, chef-curated toppings and a tender, quick-fired crust. We genuinely hope you enjoy it. 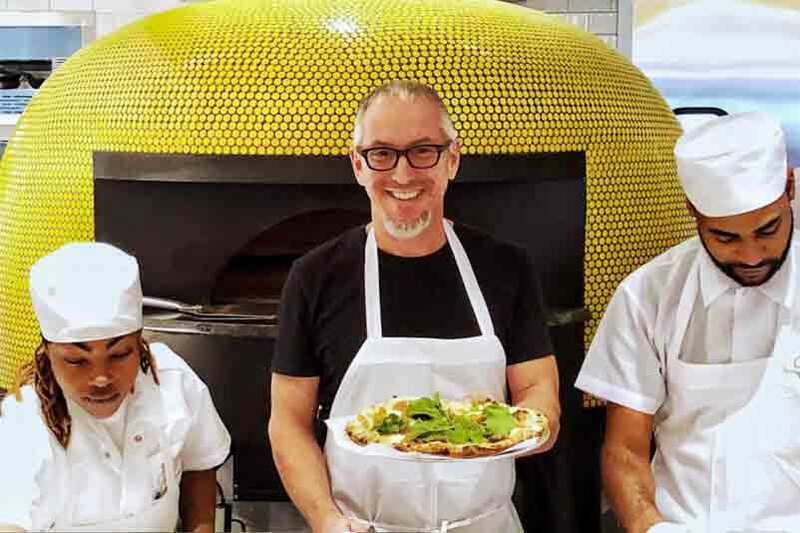 Genuine Pizza is the brainchild of James Beard Award-winning Executive Chef, Michael Schwartz. The Philadelphia-born owner of The Genuine Hospitality Group, Schwartz is the face of the South Florida restaurant industry and a nationally recognized celebrity chef. Since his flagship, Michael’s Genuine® Food & Drink, first opened in Miami’s Design District in 2007, locals and tourists alike have come to embrace and crave its refreshing combination of laid-back, bistro atmosphere and straightforward food emphasizing fresh, local ingredients. Schwartz is recognized by his peers and the diners that flock to his restaurants for his commitment to community and responsible, seasonal food sourcing. In the '80s, Schwartz’s career led him to Santa Monica where he worked for Wolfgang Puck. His tenure with Puck included a venture to Japan to instruct in pizza-making-coincidentally, also his first experience making pizza! His innate culinary talent rose to the occasion and an obsession with pizza was born. Schwartz spent the next two years perfecting his process, honing in on every detail from the precise amount of time to let the dough rise to the specific mixer required and the perfect ingredients combinations. When introduced at Michael’s Genuine, his creation became an instant favorite. So much that Schwartz decided to make it the star of his next venture, Genuine Pizzeria. "A delicious surprise for Atlanta, Genuine Pizza is a destination worthy multifaceted restaurant." 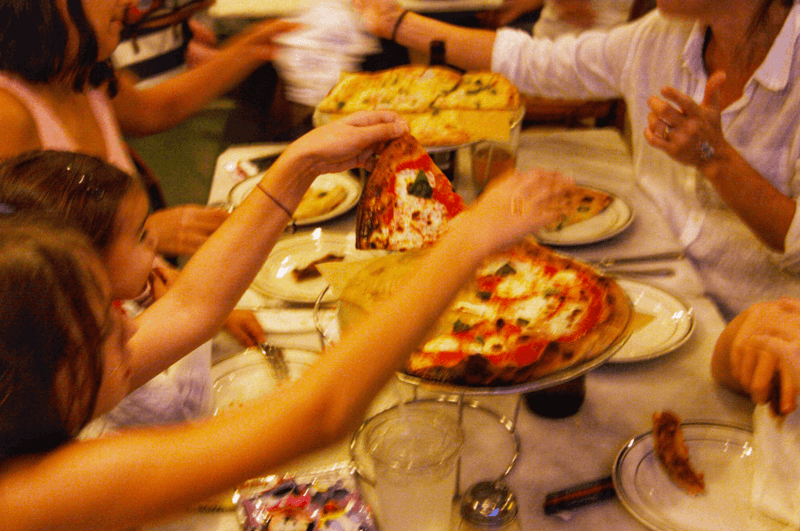 "A new name that speaks to the restaurant’s intentions and its roots: Genuine Pizza"